Omaira originally studied in San Francisco and did her Bachelors in International Politics and a minor in Psychology. She went on to do her Masters in Criminology as well as Project Management She has over 10 years experience working as a Senior Office Services Executive at the Human Rights Commission in San Francisco Ca. and as Head of Marketing & Events Management (Techno Park) Nakheel Dubai. ​With over 35 years experience in the Middle east, he was the recipient of the Human Resources Leadership Award given by the World HRD Congress in 2009. ​He started his career in the bank formerly known as The National Bank of Dubai as a supervisor before leaving the bank to become the Commercial Director at Zener Electronics and Electrical Services. Ayadh has also coached around 80 UAE NAtionals in FGB. Currently he is coaching 60 Nationals in Emirates NBD in their dynamic Emirtisation program to help in building the young Graduate Trainees to be able to become effective mid/senior Managers in the near future. To have a Learning and Development Company that will be: Of the Nationals, will cater For the Nationals, and will be run By the Nationals. To add value to leadership talents in young nationals with expertise, skills and knowledge by providing Learning and Development programs that will introduce them to the changing cultural and environment and at the same time enhance their business 'thinking' capabilities. Our main problem I feel with Emiritisation (or Nationalization) is that we recruit UAE Nationals (graduates or high school leavers) who have very little knowledge, experience or skills and make them work alongside ex-patriate staff who are basically recruited for their experience, knowledge and skills they bring to add value to the organization, and we pay them accordingly. This is a very de-motivating factor which results in huge attrition rate for young nationals. Next, the world itself has changed in a very dramatic way. Our Fathers and Grandfathers lived very differently. The world of yesterday was built around at a slow pace and mostly functioning on hard labor or trading or something similar. An example of this slowness can be seen how TV led to Video player to LD but then in a short time CD led to Blue ray and now it is USB and in the very near future (and it is there already) you can just save movies on your decoder or watch it directly from the Internet. In the past inventions took a lot of time and our brain had lots of opportunities to assimilate the differences, but today's new technology can actually be obsolete within a very short period. I will explain this point in the forthcoming paragraphs. Another example, if in the past you wanted to do a project or needed help on an idea, you had at most only three people to depend upon; your Professor at College; maybe a book from the library; or a family member. And you had to learn all about it. Today, like an example, I wanted to develop my idea about thinking, and when I researched this on google, I got( Guess how many hits do you think) 22 million hits. The world today is moving too fast and to spend most of the time at college and schools on subjects we may or may not use (unlike previously where we had the time to assimilate information and make sense of them). So, we need to do things differently and introduce 'Creativity' either in the educational system or provide this opportunity before or at the time the young school or college leavers enter the 'work system'. So, how do we go about understanding Nationalization? There are hundreds of books on mostly any topic you can put your hands upon, but what about Nationalization? It won’t be easy, and Rome was also not built in a day, nor did Ferrari, it took Ferrari 40 years to get the name for itself. So, how can we people help our Rulers in Building our Nation? Three words can explain the phenomena. So, my two programs (The Rounded Thinker also known as Essential Thinking and Planning Skills and Think Fast Think Smart) works basically on the above concepts. So, how did I come up with this idea to play my part in our National's development. My father who is recently retired was asked by the Head of HR of Emirates NBD (then NBD) in 2004 or 5 to come up with something that would not only be challenging, but also provide the young Nationals to learn, suggest and commit themselves at workplace. 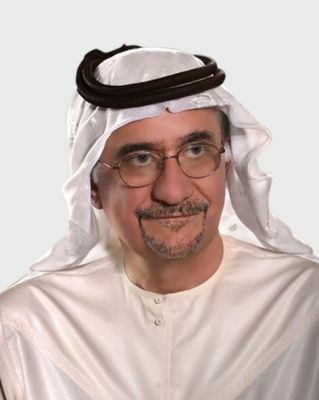 His programs PAL, AL Misha'al at Emirates NBD, Nujoom at First Gulf Bank and partly the GT program and Bedaya and Tamayez at 'du' were some of the work he did for Emiritisation. During this period I worked with him to develop programs which he subsequently delivered or had trainers deliver on his behalf. I have also worked closely with him on this, and since he has now retired, I would like to follow his footsteps. Thus my company ALF Administration Training (Advance Learning Formulas) is the answer. 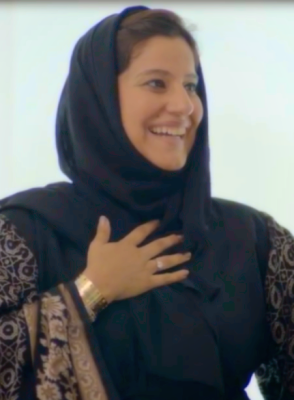 My target audience is UAE Nationals, and hopefully the geographical area for me will be the entire UAE and hopefully in the future, to other GCC Countries as well.